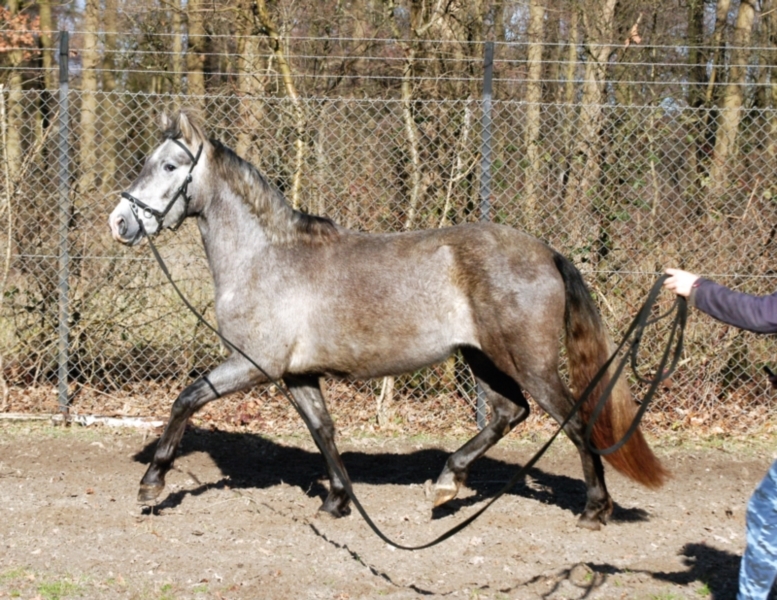 MARVILLOSA is now more than two and half, very people-oriented, easy in the hand and on the washing place, kent all lunging. 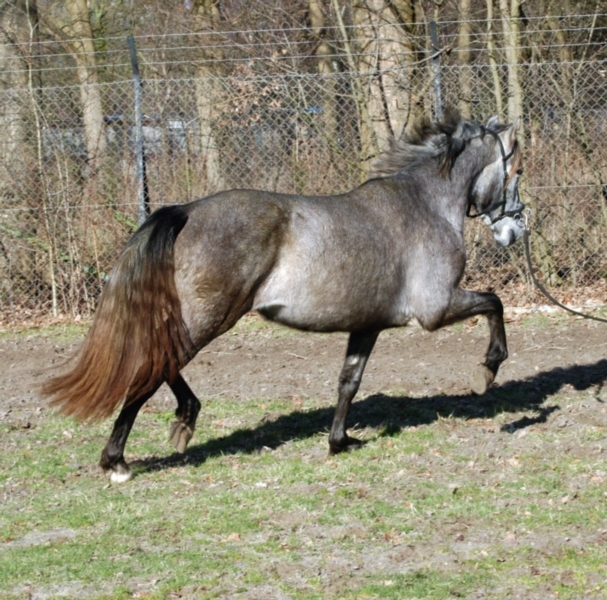 And trots spectacular. 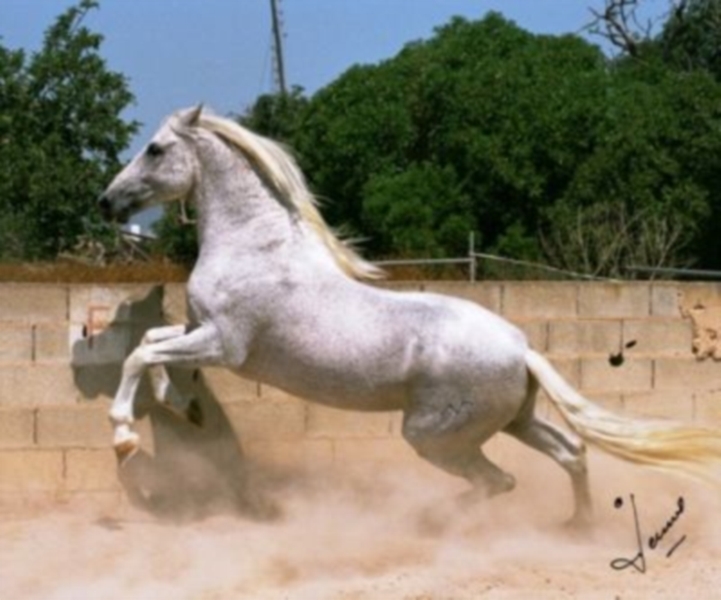 Hortelano Cen is one of the best PRE stallions in the UK. 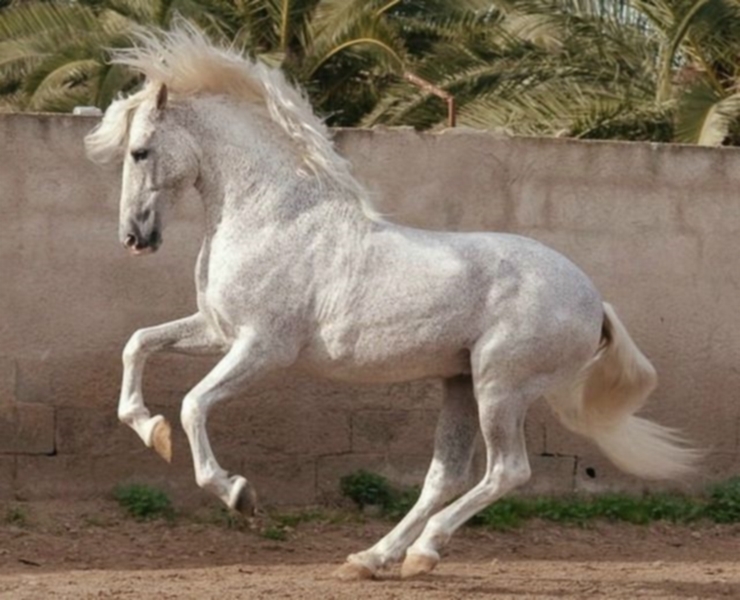 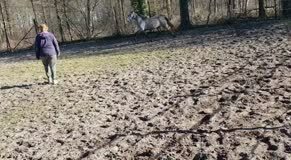 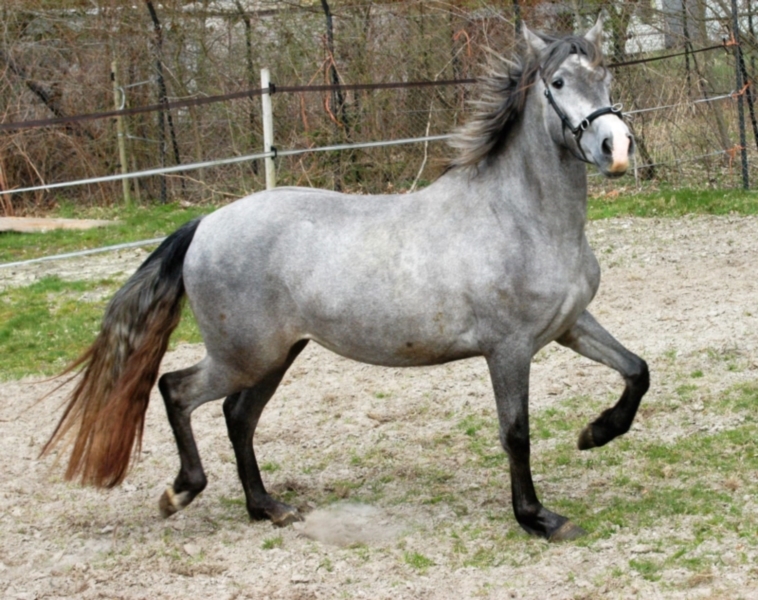 His paces combine both extravagant Spanish movement with the cadence of a warmblood. His titles include 2013 Reserve International Supreme Champion Stallion, Ridden Champion PRE Functionality and Performance Champion. 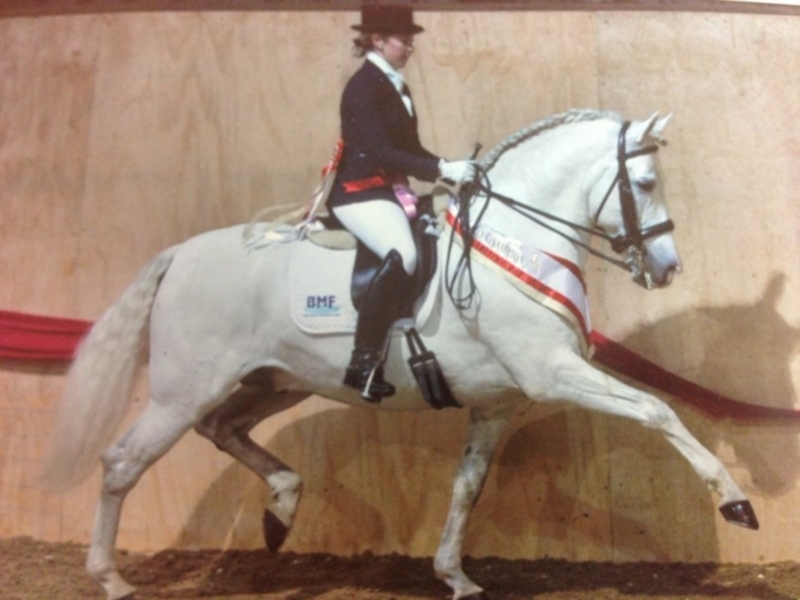 He competes successfully at medium level BD and has done BSJA and hunted, proving to be a multi talented horse! 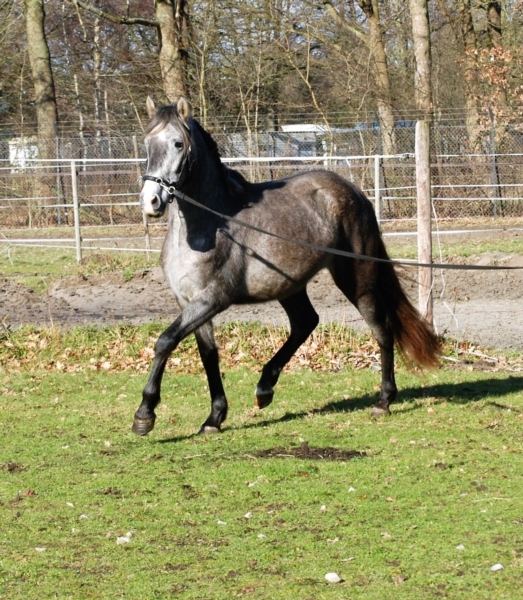 His temperament is equal to his performance record, being one of the most kind and gentle horses you could meet. 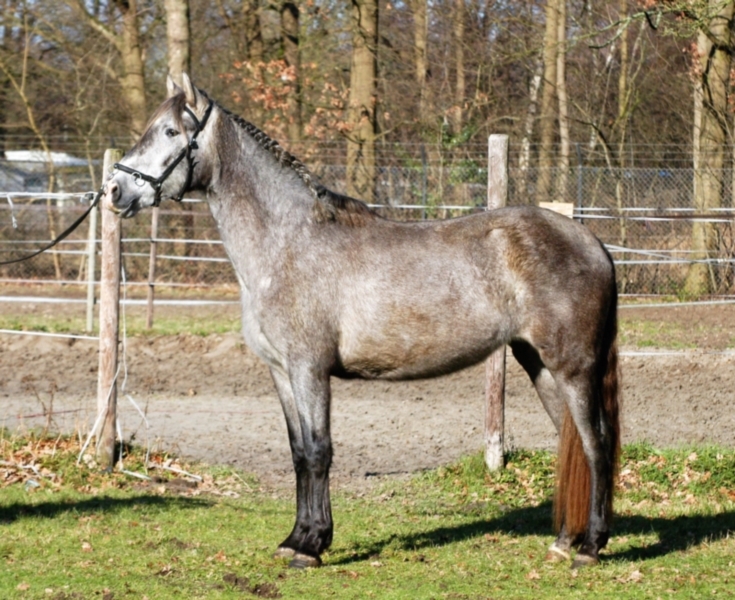 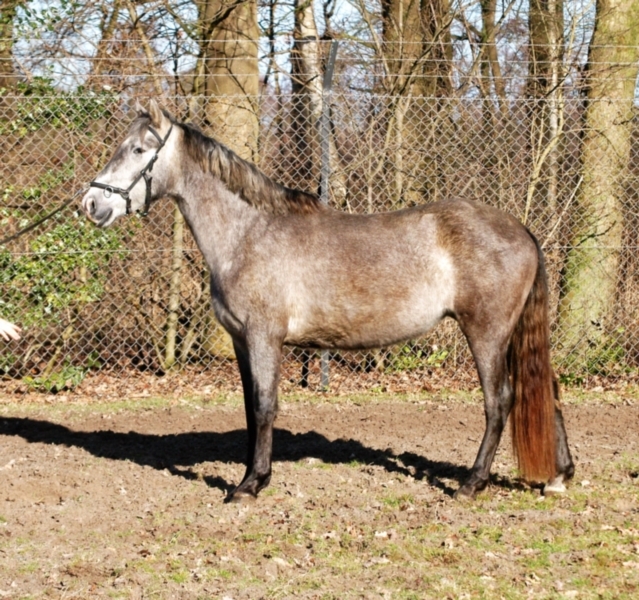 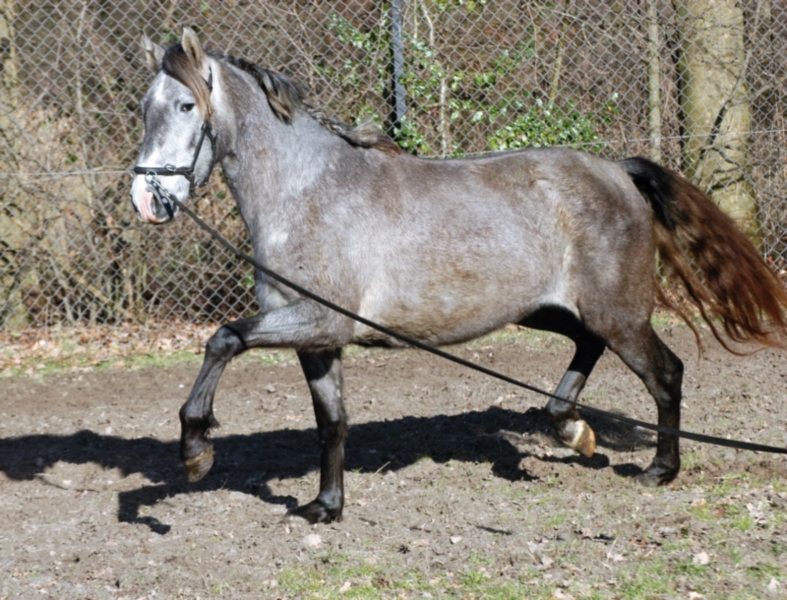 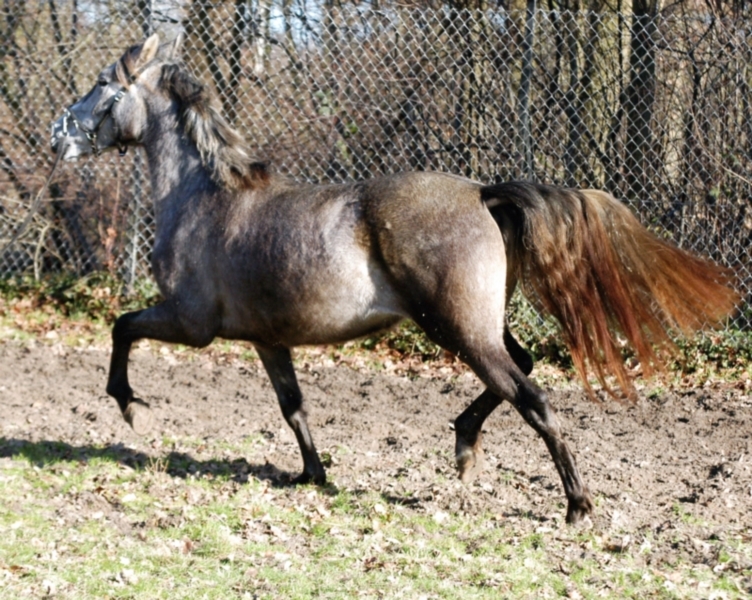 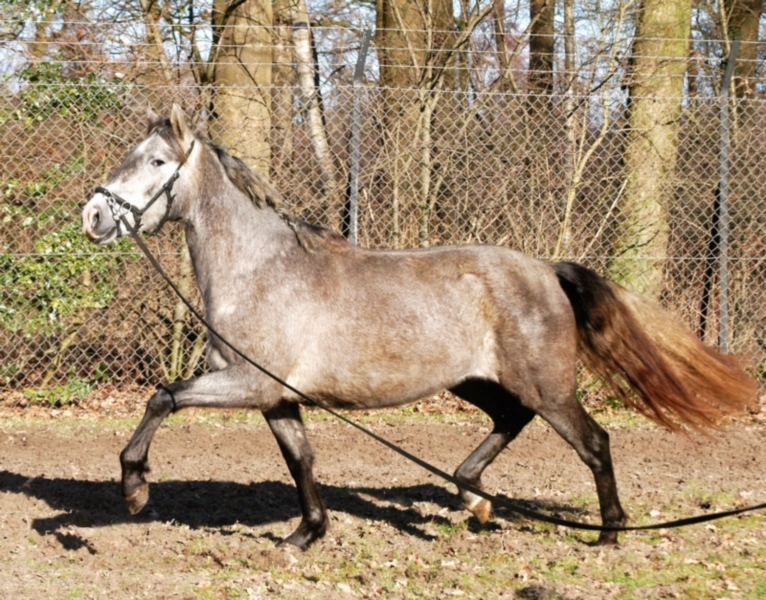 Her mother VAINILLA VI (SECOND PICTURE DARK fungus) has already been proven with phenomenal dressage breeding progeny. 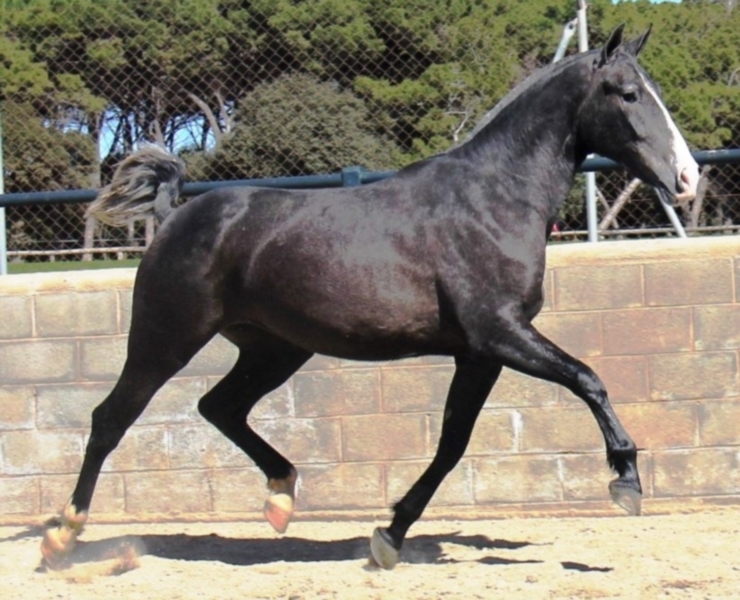 The father of this mother is the Stallion JAQUIMERO (last two pictures) a well known and much respected approved stallion by the famous "YEQUADA PLAZA DE ARMAS".